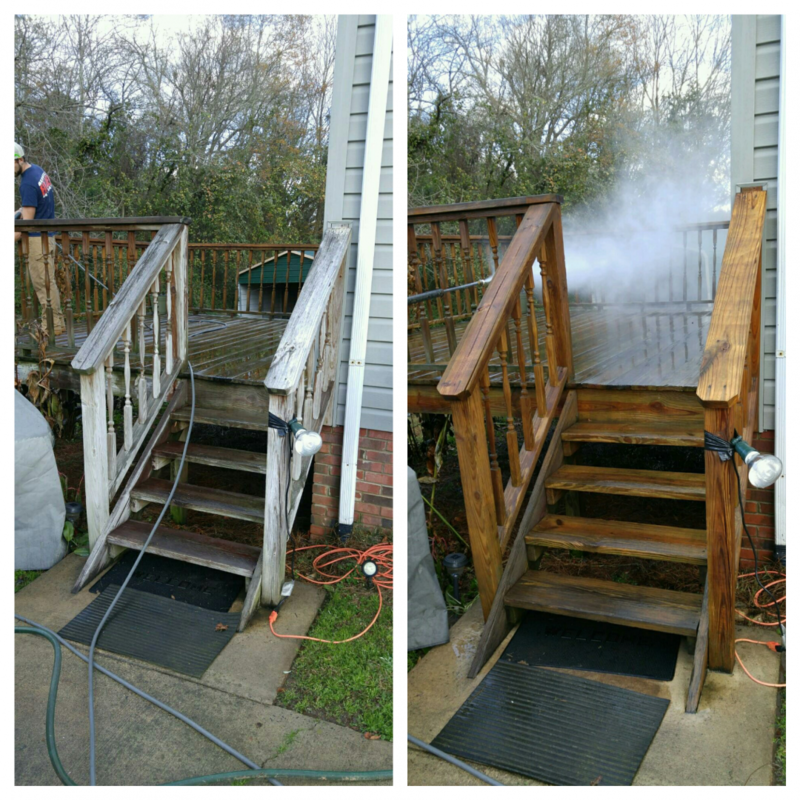 Mike came to us in need of a deep and restorative exterior cleaning for his siding and his back deck. The customer was having an issue slipping on the back deck due to the mold build up from all of the rain we received. We sprayed a mold and bacteria killing solution that also acts as a growth inhibitor to the entire exterior and back deck before pressure washing. We incorporate this step for every pressure washing job to stunt the growth of the bacteria for at least 2 years. Mike has not had any issues since!